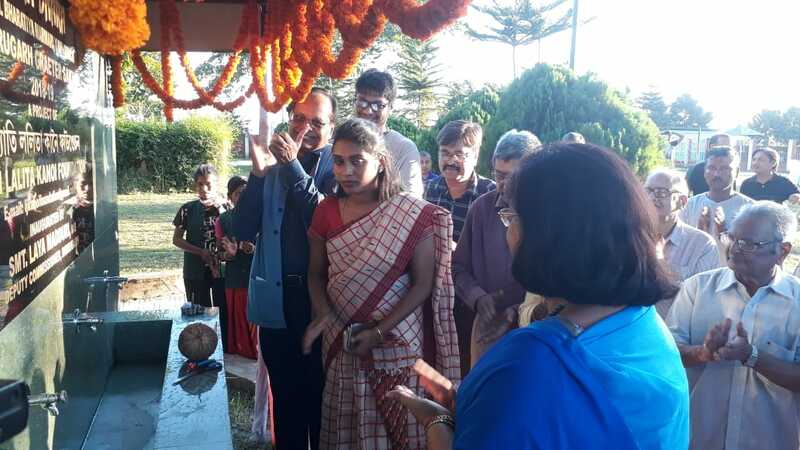 Dibrugarh Deputy Commissioner Laya Madduri on Thursday inaugurated a drinking water project, Amrit Dhara at Mahatma Gandhi Park, Khanikor here. The drinking water project was funded by Jyoti Lalita Kanoi Foundation, in association with Marwari Yuva Manch, Dibrugarh Greater. Speaking on the occasion, Madduri appreciated the step taken by the foundation in installing drinking water project in Dibrugarh. She said that the Ro-filtered drinking water facilities in the park will provide safe clean water to the people who come to the park for recreation. Foundation chairman Jyoti Prasad Kanoi said that they want to installed the drinking water project at Jagnath temple but the trustee didn’t allowed him to installed the drinking water project at the temple premises. “I have discussed the matter with Deputy Commissioner Laya Madduri and he suggested me to installed the drinking water project at Khanikor Park and with the joint effort of Marwari Yuva Manch, Dibrugarh Greater we have installed the drinking water project at the park,’’ Jyoti Prasad Kanoi said. The Jyoti Lalita Kanoi foundation has installed six drinking water projects in Dibrugarh.